MHA was disappointed to learn that the Windsor redevelopment is to go ahead after VCAT ruled that the owners, the Halim Group, can have their permit extended to 2020. Despite some news stories spinning the idea that this redevelopment will ‘save’ The Windsor (which is the line taken by the owner) MHA sees little evidence that this development will do anything to enhance the heritage of The Windsor. Quite the opposite, in fact. The touted restoration is pretty superficial, the loggia will be re-opened on the ground floor, several major rooms like the ballroom and the heritage staircase will be restored, but this is about it. The pay-off for this ‘restoration’ is significant destruction of the fabric of the hotel to accommodate the new tower and modern rooms. You might remember back in 2013 when we were horrified to learn the extent of the proposed destruction to heritage interiors at the hotel. At that time the proposed redevelopment would not have left a single heritage room intact. As it stands much of the heritage fabric will still be lost. The entire rear wing will be demolished, everything but the exterior and interior courtyard of the south wing will also go and only the north half of the front wing will be retained. The wonderful lanescape of Windsor Place behind the hotel will also go. The new tower will overshadow not only The Windsor but the entire Bourke Hill precinct. We have been concerned from the start that the scale of the tower (despite it’s shimmery half-invisible render in images supplied by the developer) will completely overwhelm the scale of The Windsor. 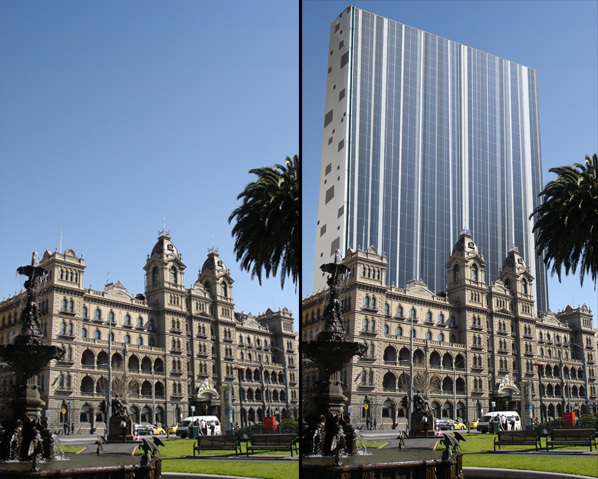 The architect went on record last week stating that the ‘tower’ will have a calming effect on the heritage building, and ‘cut the heritage building off a little bit from all the mess of tower that are behind it’. However, photos taken over the weekend (below) clearly show that even on a cloudy weekend the hotel is best served with its towers against a backdrop of the sky. In the time since the tower was first approved the importance of the Bourke Hill precinct as a heritage area has been recognised with new height limits and better protection for buildings in the area. Under new regulations the proposed tower would never have been approved. You can read more in The Age here, and our president Tristan Davies made a comment to the Herald Sun here. MHA fights for a wide range of buildings, from small laneway buildings to under-appreciated mid-century gems. The Windsor, however, needs no real justification as a heritage site. 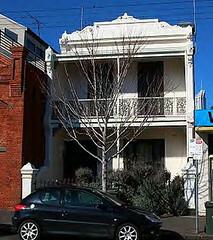 It is already listed by the National Trust and it is on the Victorian Heritage Register. 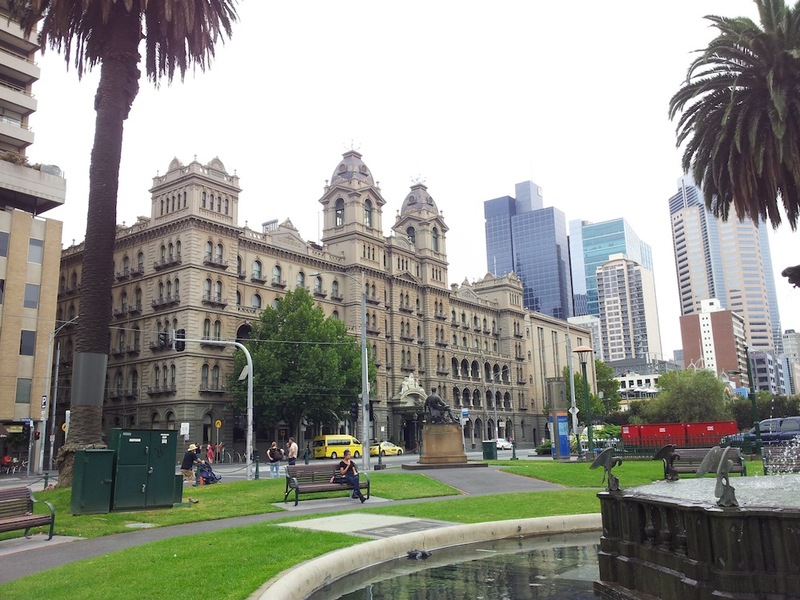 It is widely loved by residents and visitors to Melbourne. This vandalism opens the way for the whole parliamentary precinct to be changed for the worse with tower blocks going up on the site of The Palace Theatre, Job Warehouse and other sites that become available including the car park located between Bourke and Little Collins. The do nothings in parliament and council on both sides are letting Melbourne be blitzed with no concern for our history or style. This is disgusting that this beautiful Hotel will have such an UGLY ATROCITY built behind it. The Government should have protected the Hotel. Melbourne is getting worse all the beautiful buildings going for the rubbish they build today. 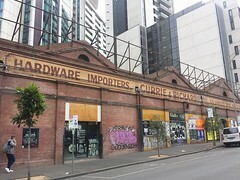 Melbourne is no longer the beautiful city of yesteryear. What next will they wreck in the way of progress? How can we fight this? Surely we can do something? Wow, I must agree, not a very nice view with the gargantuan new development as backdrop for such a classic masterpiece. How is it possible that a National heritage listed building can be destroyed in this way?? Surely there is some way of stopping this outrage?? ?